In today’s society we have many places you can go to learn the rules of the road but where can you get the best driving lessons that aren’t ridiculously overpriced? Well, Can-Drive is one of the leading driver training school companies in Canada, and are the number one drivers school in Edmonton. Their motto is Learn Fast, Pass Confidently, which is exactly what Can-Drive’s goals are to teach you to drive quickly and efficiently. They are known for their fun, and informational driving classes that stick into your head, rather than in one ear and out the other like you may have experienced if you have already taken driving classes. Is Can-Drive Qualified To Teach? A question commonly asked when thinking about driving training is how qualified the place is where you will be doing your driver training. Well, Can-Drive is the most qualified school where they are extremely committed to the safety first rule. They also offer complete training, not just bits and pieces of un-useful information. Can-Drive focuses on providing the best classroom experience possible as well as excelling in on the road training that way students don’t feel as if they lack the proper guidance they need to become responsible and comfortable driver’s. The instructors at Can-Drive are dedicated to teaching students safe driving classes practice. For beginner drivers who have a little amount of training and wishes to further their knowledge, there is a course you can take if you have your class 7 license. This course involves 10 hours of on the road driving and 15 hours of classroom theory driving lessons where you will be shown several official demonstration videos and audio presentation. The aspects that you will be covering are the basic get to know your vehicle, the responsibilities that come along with driving, how to back up safely and how to park properly. They also teach you when to use what signal lights, the rules, and regulations of the road, how to change lanes in traffic and what the laws are with making U-turns and when driving on roundabouts. Another bonus skill that you will be trained in this course is what the pedestrian and bicyclist rights are as well as getting you comfortable with driving on the highway! So if you find yourself in this category of drivers come to your closest Can-Drive or call and make an appointment. Another lovely thing that Can-Drive’s driving school driving classes have to offer is that they will come pick you up! The driver training course only costs 495.00$ CAD plus tax! If you are brand new to the driving world than Can-Drive driving training also has something for you as well! With choosing the premium plan, you will get extra road practice to ensure you get comfortable on the road. 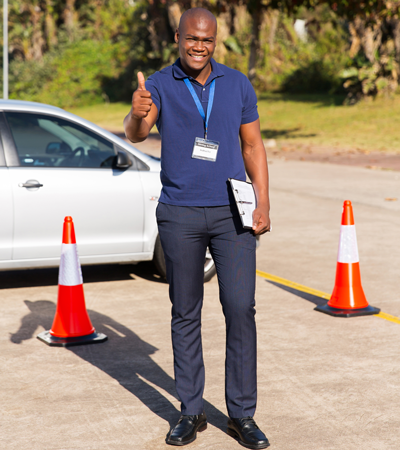 This course involves the same amount of class time as the beginner drivers course and covers the same basic material, except you get 14 hours of on the road driving lessons accompanied by a trusting instruction! That may be exactly what you need to get your confidence behind the wheel. This in the classroom and on the road driving class package deal is mainly for people who are just turning of age and, are looking to get themselves into their car sooner than later. This course, given the extra bonuses, is slightly higher priced but is entirely worth it in the long run. It is priced at 685.00$ CAD plus tax. Another deal that Can-Drive offers is the Class 5 non-GDL course. This course includes 6 hours of on the road driving lessons as well as 15 hours of theory instructions to complete your driving training. This course is reasonably priced at 350.00$ CAD plus tax, which is a super steal so sign up now at http://candrivedrivingschool.com/! This is a preferable driving class for people who already have their license but have never taken driving school. A benefit that comes along with this driving class is that it can lessen your insurance because you are certified in driver’s training and have an official diploma from a driving school! As if that wasn’t enough Can-Drive also offers an online practice test! When taking this test, you will be asked questions similar to the questions that will most likely be on your driver’s test. There are two different tests you can take. They say it takes time, driving training and loads of practice to become a safe driver. The more you educate yourself, the fewer risks that you will encounter and what better way to educate yourself than attending one of the leading driving schools in Canada!! Can-drive is a highly recommended choice for driving schools in Canada. Aside from being one of the best and most reliable places to guarantee your accompaniments with driving training will be fulfilled! The instructors at Can-Drive are kind, caring and patient people who have your best intentions in mind. They will take you step by step on everything you need to know to ensure that you are safely driving on the road. When taking the driving lessons, you will start to feel yourself gaining confidence in your driving skills, while also ensuring that you are safe while doing so. As much fun as speeding and other illegal activities may be, there are a time and a place for them -which is at racing events and smash up derbies. Not on the public roads where people are just trying to get around. You can apply for your Can-Drive driving lessons and driver’s training at 780-700-3048!